LSBU’s Graduate Internship Programme matches current students or recent graduates to organisations looking for a specific skillset to join them on a short-term basis. The students gain invaluable experience, while the organisation benefits from the latest thinking, a fresh look at their processes and procedures, and the enthusiasm and professionalism that LSBU graduates are well known for. 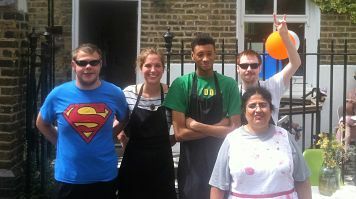 CareTrade, an autism charity that specialises in creating opportunities for young Londoners with autism, had a specific need for an intern. However, without the funds to hire anyone, or the skills available through any of their volunteering team, they turned to the Graduate Internship Programme for help.